from an equally fabulous company - Montessori Services. If you haven't checked out Montessori Services I honestly recommend you visit their site (they are also on Facebook). It really is chock full of wonderful resources (for both parents & educators) which encourage education, exploration/discovery, creativity and play. I have used their products in the classroom & now use them at home with the Lil Divas and have had great success in both environments. Our local science museum has similar x-rays as part of a hands-on display and I have been eyeing them for ages. I was excited to finally get a set at home for our personal use that we could play & learn with. My Lil Dias enjoy puzzles, so I thought this would be something they would find inviting & I was correct. We took apart the pieces and laud them out on our large floor mat and the Lil Divas got right to work. It was wonderful to see them working cooperatively and helping each other. 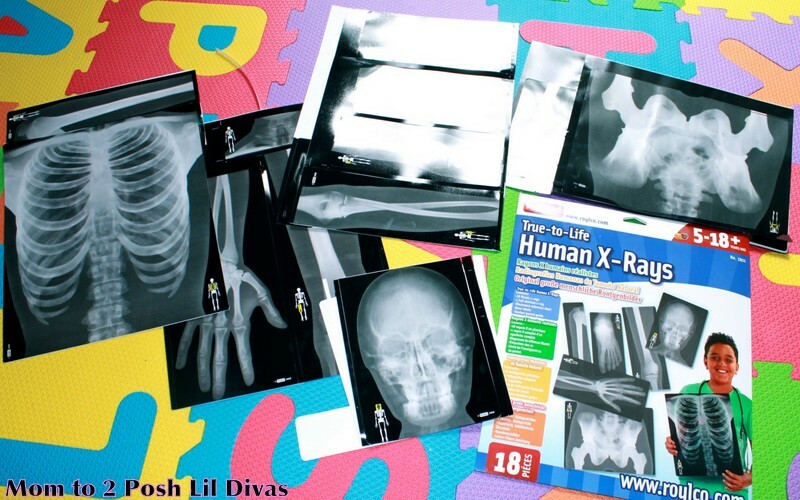 The x-rays each have a small photo "hint" printed on them so the experience wasn't frustrating for them being that this was the first time they were attempting to put together a human skeleton, piece by piece. We reinforced left and right, using a diagram for clues and discussed the names for the bones. It was such a wonderful activity to engage in together and a great way to learn more about the human body. 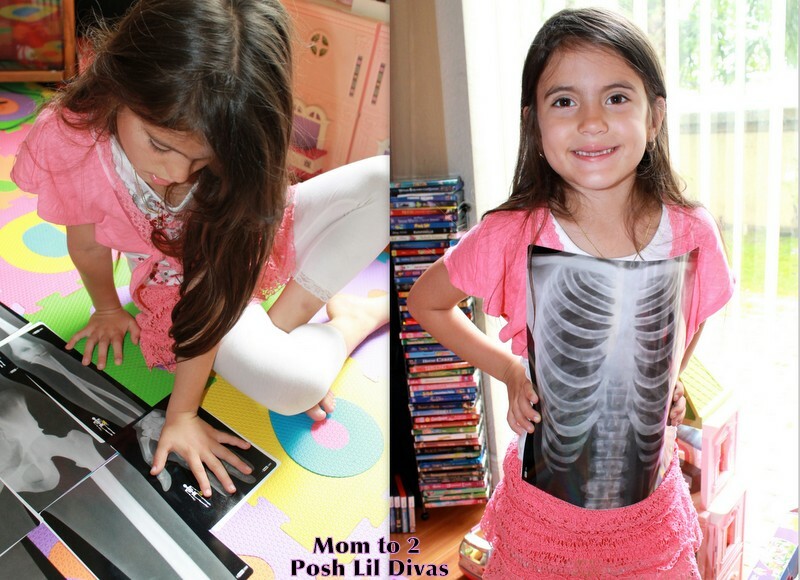 Once we had the skeleton put together, the Lil Divas wanted to compare themselves to it. They lay down beside it and we discussed who was larger and smaller. They compared their hands, feet and head size to the x-rays. Then I got the idea to mention a specific bone and have them find it and place it against their body in the correct place. They had quite a bit of fun with this and it was an easy way to learn more about bone names. We played for a long time with the x-rays, much longer than I expected to. Isn't it great when things take on a life of their own like this? I am sure there is tons more we can do with this. I wish we had a light table - what a great way to explore the x-rays, like doctors do! I can see us including these into our pretend play (maybe hang them onto our windows so the light shines through). This is the kind of product that would be great both at home or school. It would have been fabulous to have when I taught first grade and we learned about the human body! The kids would have really enjoyed working on this is small groups, it would have been a great science learning center. The Human X-Rays are super easy to clean up and storage is a snap because they fit right into their envelope, which is compact. Just put them away & store until the next time you are ready to play. 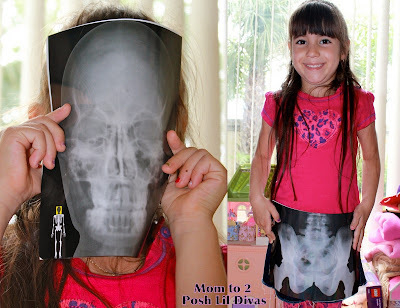 Now that I have shared our experience with the True-to-Life Human X-Rays with you, are you ready to enter to win a set of your own? The generous people over at Montessori Services are giving a set away to one (1) lucky Mom to 2 Posh Lil Divas reader! 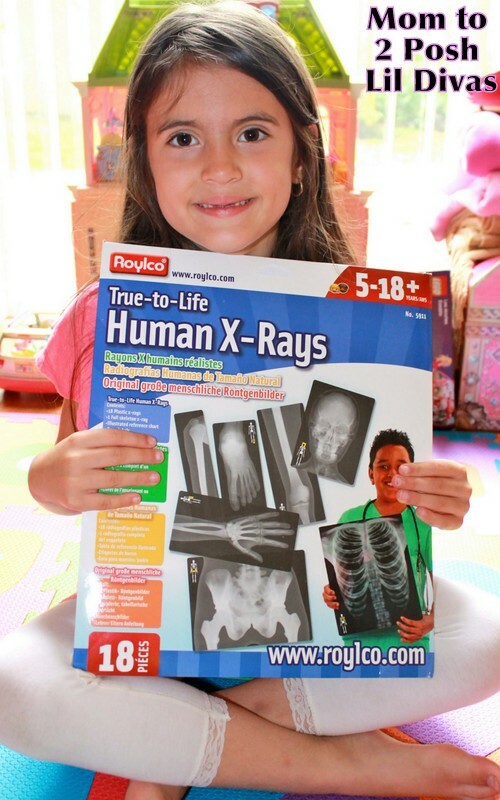 Simply tell me why you would like to win the True-to-Life Human X-Rays and/or how you would use them. Disclaimer: I received the above product to use & share our personal experience. That being said, this review is my 100% honest opinion of the product - I was not paid for my review or my opinions! They are 100% mine! Please remember that your opinions and tastes might differ from ours. I would love to win these x-rays for my 4 year-old. I'm convinced she is going to be a doctor when she grows up because she is fascinated by all things medical. She wants me to show her pictures online of what "inside my head look look" or "show me what my heart looks like." I follow you on GCF. I teach 17 preschoolers. I would love to win those life size x-rays. 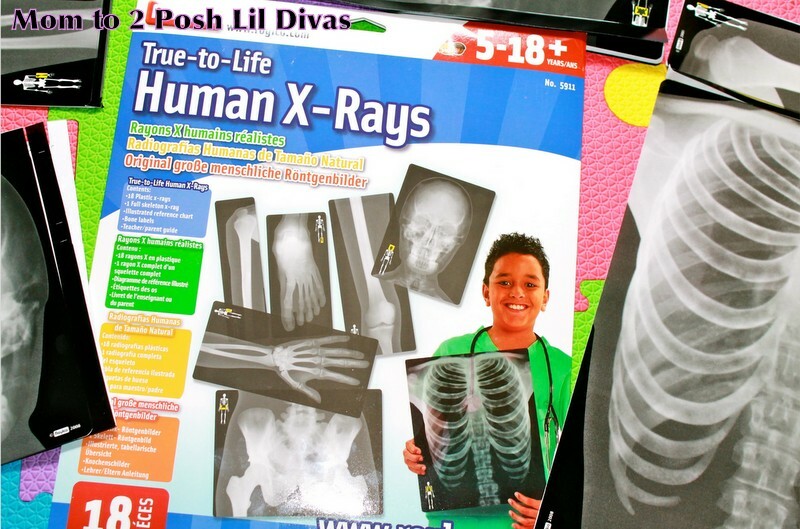 There are only so many books to show kids what your bones look like, and life size is definitely the best way to go! 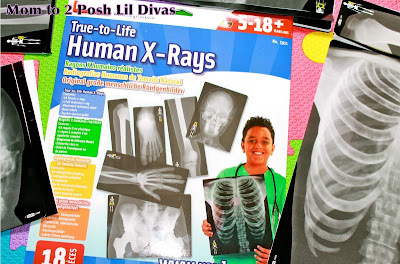 Kids are always so fascinated with x-rays, but these have all the bones. My class would love it, especially the little girl who said she wants to be a doctor! This would be a great addition to our school. These would be amazing to add to our homeschool! My kids are fascinated by bones and this would be fantastic. We actually have an x-ray of their dad's back bone that we look at a lot! I would love to get it for my kids. I know they will absolutely love it. It would be great to have it for our Human Body studies. I follow Mom to 2 Posh Lil Divas Publicly via Google Friend Connect. I Like Mom to 2 Posh Lil Divas on Facebook as Tanya Rubezhov. I would love to win this for my daughter, can use it for our studies on human body..thanks for the chance! I could use these this week! Following you on GFC! I would love to win these to use them in our study of the human body. Thank you for the chance! These would be awesome to win! i am a teacher in a pre-k classroom and my kiddos have been very interested in the human body, and skeletons... this would be perfect right now! This would be such a hit at our place! We just started learning about human body and it would be so, so useful! I would love to use these in our study of the human body. They would also be a terrific hands-on pretend play prop. My kids have made their own pretend x-rays for playing doctor or vet, but these would be incredible. I am a teachers assistant at a Montessori school and would really love to give this to my head teachers to share with the students. I have just found your website and will be trying many of your experiments and crafts with the students. Thank you. I'm hoping to homeschool (my kids are 2.5) and am getting resources together. This would be fabulous even before then! I follow you via GFC (JourneysofTheZoo) and would appreciate a follow back. I was thinking these could be fun this year when we get to the Unit:"Us" in My Father's World curriculum. Even if it doesn't fit well, the girls would love seeing them and learning about it. I would love to win this. My son will be starting K soon and this would be a great, fun way to learn about the body. My 4 1/2 year old is very interested in the human body so this would be wonderful to teach him about his bones. Thanks for such a great giveaway! These would be awesome to use when studying our bodies with my boys!